There are two types of questions that have been asked here that are a bit contentious. I'd like to propose definitions for the question types and solicit comments, changes and additions to these suggestions. Where does the Bible say X? This type of question is asking for a text search of the Bible and should be asked in the form "Where does the Bible say X?" and then give details for why and how you want the search. Perhaps some background. These questions should shy away from any kind of doctrinal explanations and stick to the text. In these questions any translation is permitted in answer and the person answering the question must specify the translation they use. The question asker may mandate a specific translation or canon, but it is not necessary. If the question requires a search of the original languages it would be preferred to use a secondary source for the translation, but if its a personal translation please post the original language and also the translation. It is strongly preferred that you use a translation that is widely available, preferably online, but if not should be freely available in print and purchasable. This type of question is asking for exegesis on a passage. This site would prefer that we use established interpretations of passages instead of personal ones. Please use available commentaries or other secondary sources. In this case the person asking the question needs to determine some kind of doctrinal framework for the question to placed in. This can be as simple as asking about a specific concept or as complex as asking about a denomination's stand on a particular subject. Answers should be from the desired perspective of the asker. Answers need not cite sources, but should be able to be referenced if needed. Please feel free to provide feedback and suggestions in answers below. The reason that I don't like this idea is because the first question is actually a doctrinal question masqeurading as a Bible question. "Where does the Bible say that Jesus was a separate god?" "Where does the Bible say that a wife is property of the husband?" "Where does the Bible say that Jesus was crucified on a stake instead of a cross?" "Where does the Bible say that parents will be accountable for their children's sins?" Each of these questions will garner multiple answers from different viewpoints. While most of these will gain a bunch of "The Bible doesn't say that!" answers, each of these questions are actually doctrinal questions. From a specific doctrine, each of these questions has a valid, fact-based, uncontentious answer. The problem is that we have no way to separate doctrine from answers about the text! An individual Bible verse can be interpreted multiple ways, based on the doctrine of the poster. Without a doctrinal position, each of these questions is completely open-ended and ready to accept opinions. If I'm not also familiar with the Biblical interpretation an answer uses, how do I know it's correct? I can't test it: the interpretation is not cited, or worse: completely synthesized by the answerer. This rule allows for questions that call for biblical interpretation. Therefore, they are open-ended questions. Anyone can answer from the standpoint of any opinion rather than fact. The interpretation of the Bible is an open subject and an individual verse is open to interpretation, based on the doctrine of the poster! The original rules should stand. If we want to re-expand the scope, I think that's a valid way to go. However, this proposed change unravels the accepted changes and does nothing to improve them. The questions like "Where does the Bible say X?" are doctrinal questions masquerading as Bible questions. Anyone can come in with any opinion about the Bible (and call it "doctrinal interpretation") and we have no way to stop them. Either we need to entirely scrap the new standards or we need to hold fast to them. I think that this change does neither. Bible questions should be redirected to Biblical Hermeneutics unless they are doctrine questions in disguise. Those should be couched in terms of the doctrine they are addressing, not in terms of the Bible directly. Unless the question is literally asking for a trivial search of the Bible, in which case the question needs to be closed. As a participant on the Hermeneutics site, I come from a slightly different place than most Christians. The fact is, the Bible plays a prominent role in many theologies and none can claim a monopoly on being rooted in the Scripture. This isn't exactly the place to argue that assertion, but consider the difference between the Sadducees and the Pharisees who certainly knew the Torah better than any of us know the Bible. And yet, they disagreed about fundamental theological issues (including whether there was life after death) and were both utterly wrong (from the Christian perspective). Proving that something is or is not in the Bible doesn't help us understand Christianity as much as we might think. Obviously, I think the crowd over at the site dedicated to understanding the Bible has some useful things to say about it. However, I'm thinking first of your pastor/priest/mentor. You could make their week by pulling out a Bible and asking them your question instead of us. Presumably, you'll get a more trustworthy answer than just approaching random people on the internet. If you insist on asking random people on the internet, why not go to the site dedicated to answering those types of questions? I used to think there was some utility in asking Bible questions here if you wanted to know the Christian interpretation. 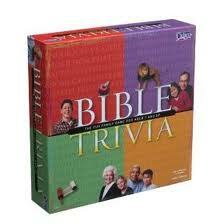 But then I started reading questions and answers tagged bible and biblical-basis. I find far more diversity in answers than I expected. And, laying the cards on the table, I find that many of the answers are lined up against millenia of scholarship of the Scripture. Since many of these answers don't cite sources, I gotta assume they are personal interpretations. The exceptions are usually: a) Catholic answers or b) from people I recognize on the Biblical Hermeneutics site. If we are all trying to grow in the grace and knowledge of Christ and His Church, let's focus on that instead of Bible trivia. I'm currently teaching a series in Sunday School on the minor heroes of the faith found at the end of Hebrews 11: Rahab, Gideon, Barak, Samson, and Jephthah. There's a lot of fun stuff in these stories, but we aren't studying them so that we can pass a test to get through the pearly gates. We learn these old stories in order to understand ourselves, our faith, and our relationship to God. The history of Christianity is the history of people struggling with their faith. Often that struggle revolves around Biblical texts, but the context is always doctrine. Let's ask about the doctrine and not directly about the Bible so that we are swinging in our strike zone. We are very close to graduation and while maintaining traffic will continue to be important, maintaining quality as more and more of the general public find us will be more important. When looking at our self-evaluations, I'm struck by how our best questions are the ones asking about specific doctrines within specific traditions. Broad questions about the Bible don't turn out well on Christianity.SE, in my opinion. Let's ask the questions that we are equipped to answer. Not the answer you're looking for? Browse other questions tagged discussion site-definition on-topic-definition . What is our tagging philosophy? Are “what advice does the Bible give on X topic” questions constructive? Is “biblical-basis” a de-facto denomination designation? Shouldn't the asker be required to tell what church he belongs to? SE sites are about a community of experts answering questions on a specific subject matter. What is the identity of our experts? Can the Quran be considered authoritative when it references the life of Christ? Should the Bible version used by the asker be used for the answer?